Fortnite is the hotness right now. I've played a few rounds, and while I wouldn't necessarily call myself the "best" (the highest I ranked was #19), it's still a lot of fun. 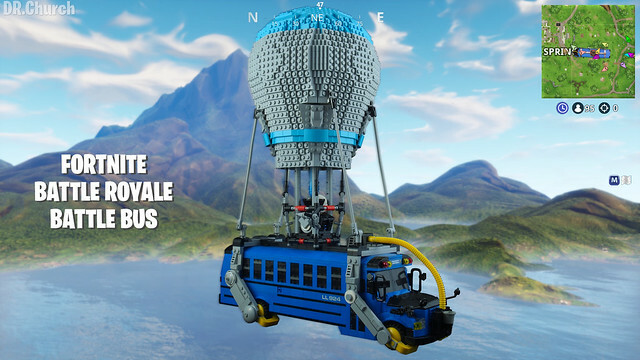 DR.Church recreated the iconic Battle Bus from the game, and it looks fantastic. The big, Lowell Sphere-esque balloon is wonderful. Where we droppin', boys?